Hockey Instructors at HOC teach either two or three camper group sessions a day. A group session consists of two hours of high-intensity hockey training daily. Instructors are on the ice either 4-6 hours a day. Instructors are required to follow a comprehensive teaching outline, to ensure that all required hockey skills are taught during the course of the week. Instructors will evaluate and provide detailed, thoughtful skills evaluations for each camper at the end of each week. 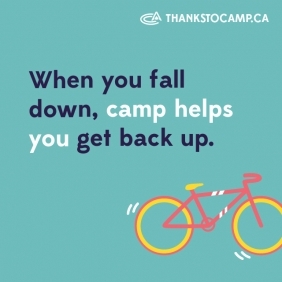 Instructors are responsible for teaching campers the safety requirements of each program ensuring that all participants use equipment properly and follow safety standards. This includes providing care to our campers that reflects the standards and guidelines of HOC's Child Care Practices. Each instructor is responsible for their program area and maintaining equipment in good order for the next program period. Assist with Sunday camper registration (10:00 AM - 3:00 PM). Each instructor will be required to work with either two or three camper groups each day and arrive at the arena 30 minutes before each shift. While under the direction of the Head Instructor, provide player instruction according to the program designed by the Hockey Director. Serve as a role model both at the arena and at the camp, encouraging our campers to become better hockey players and individuals. When assigned to the Ranger / Senior group, instruct on Sunday evening and instruct two one -hour off-ice Dry Land sessions each day at camp. Assist Hockey Counsellors with dressing room and lobby supervision. Assist the two youngest groups (Canadiens / Leafs) with tying skates. Provide on-going and continuous individual and group instruction throughout the week. Progressively evaluate camper’s skill development, complete weekly camper evaluations and stuffed in camper’s achievement envelopes. All player evaluations are completed on a computer and must be completed on time. Attend a weekly Hockey Staff meeting with Hockey Director Keith Murray, as well as a General Staff meeting with the rest of the camp staff Thursday night at 10:15 pm. Assist with Friday night / Saturday scrimmage games as assigned by the Hockey Director. Assist with evening cabin supervision duties, as scheduled (usually once per week). Ensure the Hockey Staff dressing room is kept clean and orderly. Ensure your staff cabin is kept clean and orderly. Any changes to shift assignments must be approved by the Hockey Director. All staff are required to deliver every day our Brand Promise “Best Summer Of Your Life” in each camper and staff interaction. Guided by our four core principles, Community, Leadership, Accountability, and Performance. All staff are expected to abide by and enforce camp guidelines of respect. These are the rules and expectations of behaviour implemented to maintain a fun and safe camp environment. All staff are responsible for the safety and security of each camper in their care. Staff are to follow prescribed program standards and lesson plans in order to ensure the highest level of care and instruction. Attendance for all staff to the June orientation week training is mandatory. This training period is where each staff will receive essential employment information and training for a successful summer experience. Participation in camp-wide special events (All Camps, Friday Campfire, Program Demonstrations) and weekly meetings are an expectation of all staff members. The dynamic nature of summer camp demands each staff understand that additional duties may be assigned as required. Weekly Staff Hockey & Water Skiing. Staff working a full eight week contract period are entitled to one weekend off (Friday after daily duties to Sunday program demonstrations). The maximum number of instructors off per weekend is four. Schedule your weekend off with the Hockey Director at the start of your contract. Access to program and recreation equipment. An experience that will last a lifetime. Wages: Summer wages range from $2,200 – $3,400 per summer depending on qualifications and experience of applicants. Room and board are included. Must have a strong hockey background. Genuine interest in teaching hockey skills to children and teaching/instructing experience a definite requirement. Current certificate of Emergency First Aid, and CPR, as well as Respect in Sport or Speak Out. Must be enthusiastic, energetic and positive. Must be willing to take part in duties outside the defined job description.